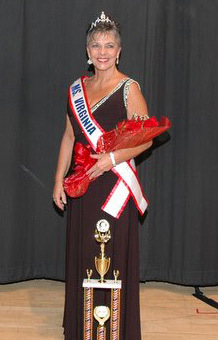 Linda Huntley from Staunton has just been crowned Ms. Virginia Senior America 2010. She also won the Commnity Service Award. Linda has had a variety of positions during her work life and she is still going strong. She retired two years ago as Sales Manager for the Stonewall Jackson Hotel in Staunton and continues to work in the family business, a log home construction company. She also works with her daughter as an event and wedding planner. She does contract work for a local caterer and assists in her daughter's interior design business and cheerleading school. Linda is a member of a traveling tap dance troop and directs the Miss Virginia Association of Fairs Scholarship Pageant. She is responsible for fund raising for the scholarships and coordinating and executing all aspects of this four-day event. And she drives her own motorcycle and has participated in benefit runs including a run for the Town of Herndon Poice Dept. On December 20, 2010, the Ms. Senior America Pageant was featured on "The Today Show." 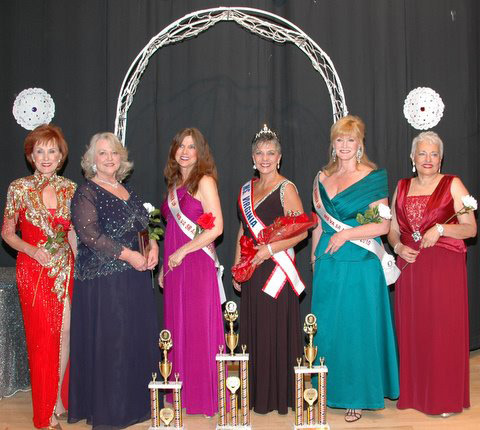 Take a look at this video clip and see Linda Huntley, the 2010 Ms. Virginia Senior America winner, as well as other contestants in this year's national pageant.